The Henry Brown Auto Group sponsors many local teams and loves to support our local charitable organizations. 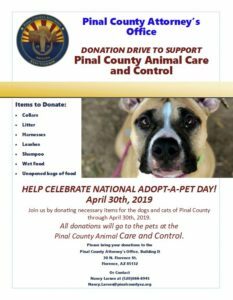 We are very proud to be a part of this great community and enjoy the ability to give back.We welcome you to our dealership in Gilbert and hope you find exactly what you are looking for. If you have any questions, please reach out to us by phone 866-634-5693 or email. We are here to serve you our GREAT customers! Henry Brown Buick GMC employs only ASE and GM Certified Technicians. Our Technicians are constantly taking the most up-to-date General Motors training available. We will repair or service your vehicle to factory specifications. Give our service team a call at (866) 622-9724 for more information or to book an appointment. We are also open on Saturdays for your convenience. Henry Brown Buick GMC has one of the largest Parts distribution centers in the valley. No order to large or too small to fill. If you are in need of GM accessories we have what you need to make your Buick or GMC uniquely yours. Ad functionality and complement the styling and lines of your Car, Truck or SUV, and make it stand out from the Arizona crowd! When you arrive at our Service Center you will find the accommodations clean and well-lit. Our customer lounge offers complimentary Wi-Fi, HD TV with free coffee and snacks! We are a huge facility with 64 Service Bays to meet your needs in a timely manner. We have a fleet of Courtesy Shuttles to take you to your home or office while your service is being completed. For extended work orders, Free GMC & Buick service loaner vehicles are available . Your service work is complete and your vehicle has had its Complimentary Car Wash. Now it’s time for our friendly staff to make sure all your documents are in order. From completing to submitting any warranty paper work to a simple “Thank You” for you business, Henry Brown Service Center will be your one stop automotive destination. Our executive office houses the most talented staff that any automotive dealership can employ. Year after year “Dealer of the Year” and “Mark of Excellence” honors have been awarded to Henry Brown and this office staff is one of the key reasons why!